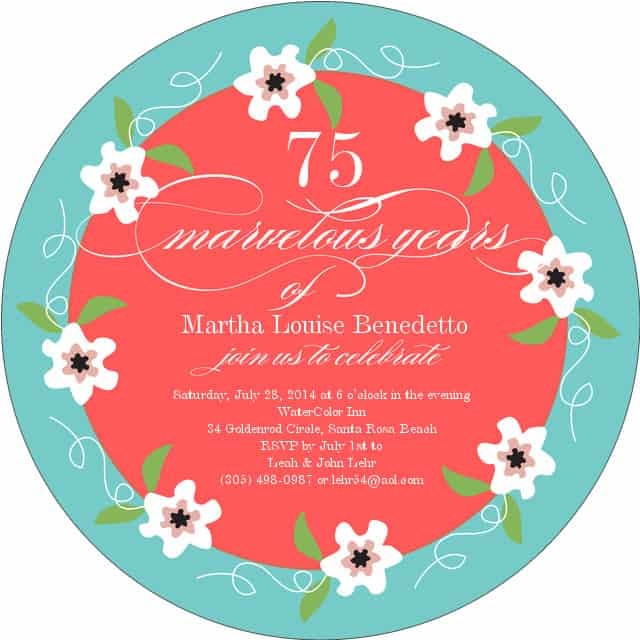 This unique circular invitation is a delightful way to set the tone for your party! Perfect for a tea party, garden party, or any woman’s gathering, you can personalize the front of the floral invitation with your party details. If you’d like, add more information on the back of the invite…the perfect place to add a map or directions to the venue. You can even add a photo if you’d like!